"What am I? Chopped liver?" Traditionally chopped liver is served as a side dish or one of many appetizers (on Keto I eat it as a main meal!). So the expression comes from someone feeling as though he or she is not worthy of mention or not worthy of being the star. 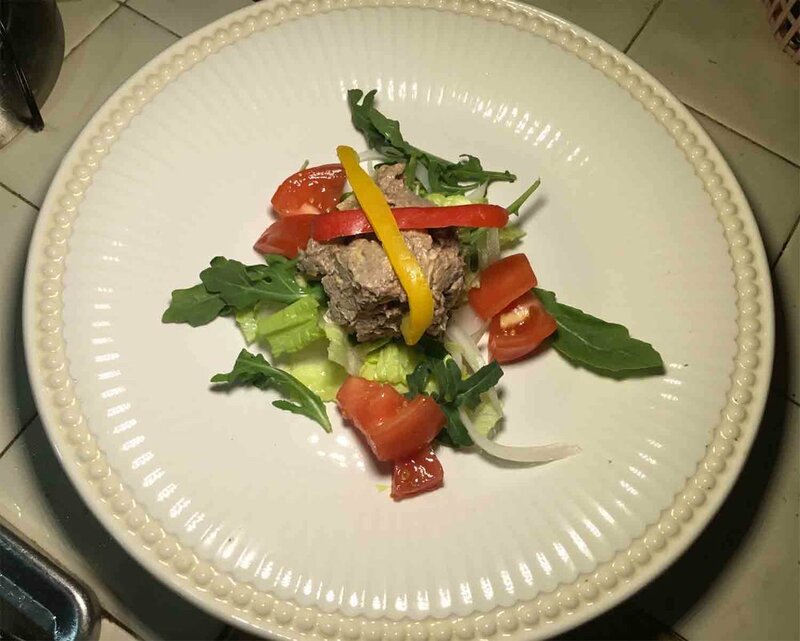 I do not care for liver any other way, but love it as chopped liver — and since doing Keto it seems I want it often! (Up to now if I had a few tablespoons at Passover or Rosh Hashanah it was enough to keep me for a year!) Liver is offal: an organ meat of the animal (some would just say it's awful!). Typically these are rich in antioxidants and dense in all manner of nutrients. Because our liver acts as a detoxifier I was originally scared to consume liver because it would be full of the animal's toxins. However, I learned that the liver itself is not only free of toxins but also gives your body key nutrients to support your own liver in detoxification. Anyway, science aside, this is a great recipe. Pat chicken livers dry. Slice into 1/2 inch chunks. Melt the next 2 TBS of fat and add the diced onions. Cook, stirring, on high for 5 minutes until the onion has softened. Lower the heat to medium and cook another 5 minutes, stirring, until the onion is brown. Remove from heat to cool. Once the liver and onions are cool, put in a food processor, leaving out about 1/4 cup of the onions. Process until it becomes smooth. As an alternative, the liver might be soft enough to mash with a fork and you can do it that way but it will have a more chunky texture than a paté texture. Move the mixture to a bowl and add diced eggs, the mayonnaise, the rest of the onions, salt and pepper. Although you can eat this after preparation, I suggest that you let it cool a few hours in the fridge so that the flavors meld. At that point you can add more salt and/or pepper (to your taste) and some chopped green onions if you need a little bit more onion flavor. Some people also add garlic powder, but I do not.